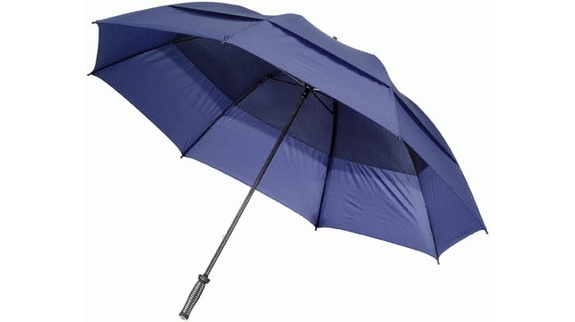 Quality wind proof golf umbrella with vented canopy to prevent the umbrella collapsing in strong winds. Colours available: Black, navy, red and dark green. Two tone colours also available. Printed one colour on two panels.